Omics! Omics! : My, Oh My, Oh MiSeq!! 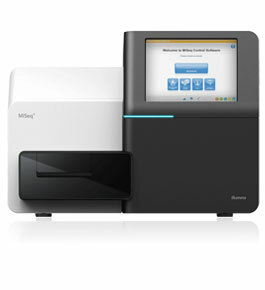 The MiSeq will be favored by clinics for the ease and speed of sample prep. With a set of pipets and a thermocycler, you only need to take unsheared DNA through the Nextera step to PCR enrichment, then onto the MiSeq. Even if the Ion PGM speeds up sequencing, the time and equipment needed for emPCR is so highly unfavorable, it is not ever clinically relevant. If Ion could get rid of the bead, they might have something that scales. I suppose my question is this: Are there any tasks for which you would see a PGM being useful where a MiSeq would not? Alas, Julie is clearly right - I will have to work much harder to break a story ahead of In Sequence. @Matthew The PGM would be useful for experiments that you want to run between now and this summer as the MiSeq doesn't really exist yet. Also, even though it generates less data, the short 2 hour run of the PGM will be pretty attractive. Of course, that's not counting the really long/ugly sample prep. The main problem with MiSeq is that most of the first batch has been allocated to the US, only a few will go to Europe so it's a bit like whoever gets there first. Some scandinavian labs bought a couple, Germany and the UK as well. But Italy, France and Spain are, as usual, behind everyone.